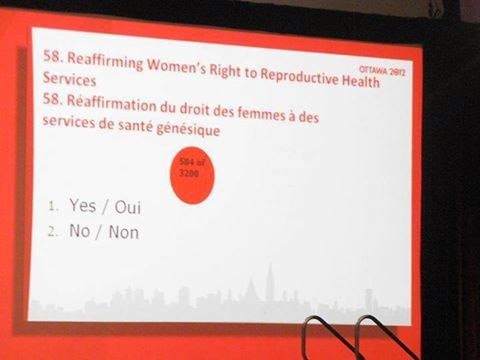 Liberal officials say Trudeau was simply voicing the firm ideal they've held since a 2012 policy convention, at which 90 per cent of those present affirmed the party's pro-choice stance. Only 584 of 3200 delegates voted for the motion a to support abortion. 90% of delegates did not vote for it. Just thought I'd put forward that clarification.